If you ever find yourself being unable to re-install Final Cut Server.app, then open/Applications/Utilities/Java Preferences > Network and click on the “Delete Files…” button and re-download. I ran into this after deleting the 1.5.1 shortcut from the Desktop. Going to the .app download page just opened the .jnlp launching the app, but the shortcut was gone. 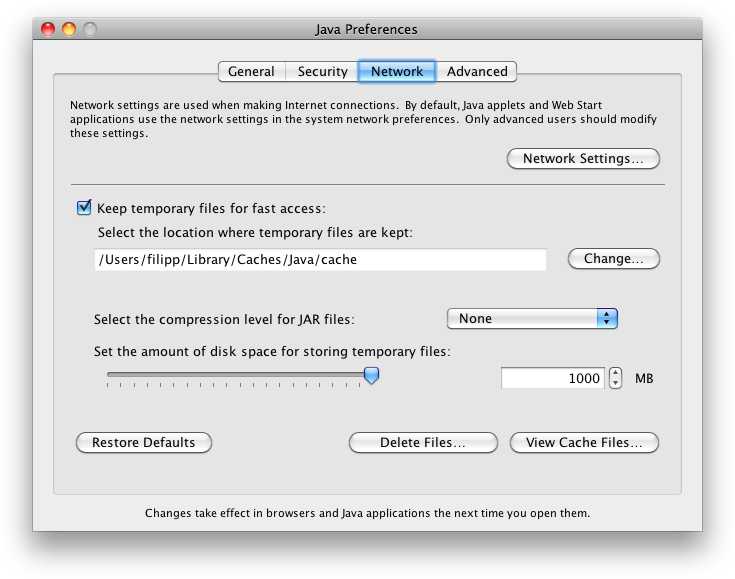 Command-clicking the app in the dock just selected the java executable. This trick forces the client to re-download and also create the .app on the desktop.